Wow, this Raspberry Chocolate Coffee Cake is great! I haven’t had coffee cake in a long time. For me, they are dry and sweet yet tasteless. I actually thought that it was just the way coffee cakes were supposed to be, but after making this one, I’ve definitely changed my mind. This is the densest, moistest coffee cake you’ll ever eat, made of alternating layers of rich sour-cream cake and a filling consisting of raspberries mixed with cocoa sugar. Perfect to serve for breakfast or on Sunday brunch. Preheat oven to 350F. Butter and flour or spray a 9- to 10- inch Bundt pan. Sift together flour, baking powder, baking soda, and salt. Set aside dry ingredients. 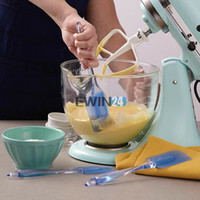 In the bowl of stand mixer or a heavy-duty electric hand mixer (in case you don't have a stand mixer), cream the butter and sugar on medium speed until light and fluffy about 5 minutes. Add eggs one at a time and scraping down the sides of the bowl as needed. Add vanilla. On low speed, in 3 additions of each, mix in the dry ingredients and sour cream, alternating the dry and wet ingredients until ingredients are just blended. Be careful not to over mix batter. Make the filling by mixing the sugars and cocoa powder in a medium bowl. Scoop in 1½ cups cake batter into your prepared Bundt pan and spread evenly to cover the bottom. Sprinkle one-third of the filling and scatter one-third of the raspberries over the filling. Scoop in 2 cups cake batter and spread evenly. Sprinkle one-third of the filling and scatter one-third of the raspberries over the filling. Scoop in 2 cups of cake batter and spread evenly. Sprinkle the rest of the filling and raspberries. Add the rest of the cake batter and spread evenly over the raspberries. Bake for 50-60 minutes at 350F until a cake tester inserted in the middle comes out clean. Allow cake to cool in pan for 30 minutes, then invert onto a cooling rack, remove pan and let cool completely before serving. Put melted chocolate on the top of the cake and raspberries. If you don't have sour cream you may substitute some Greek-style yogurt. now that is an awesomely decadent coffee cake! Your photos are always so beautiful! Love looking at your blog! Lovely cake! I love your blog, you know? I can "eat" with my eyes all the sweets here and not gain weight! Isn't it fun?! I would love a piece of each cake actually… Do you have a recipe for Paskha that you've tried and it was good? Wow, that is the prettiest coffee cake I have ever seen! Looks delicious! Marina, I dont have a good recipe for Paskha, unfortunately I never had one-) If you find one – good one, please let me know! I love the pan and how the cake rises above the bunt pan! Lovely! I love how the cake stays white! A gorgeous coffee cake, from colour to the texture! Wow. That looks amazing and like something I'd have to pay a lot of money for at the bakery! That cake looks so good! Raspberry and chocolate are so good together! AMAZING!!! Made it for mother's day and my Mom swore I bought it. OMG…it's in the oven now! I can already tell you it's gonna be fabulous. The pics are great and thanks for sharing! Thank you Christine, please send me your pictures!!! Лена, а зачем в этом рецепте вы используйте и пищевую соду, и так называемую химическую соду( пекарский порошок)? Вы знаете я почти всегда кладу ее в выпечку, от этого изделие становится более пышное и нежное. Можно положить разрыхлитель для выпечки. Пирог вкусный, сделайте, не пожалеете! Леночка, я тоже очень люблю готовить и даже не сомневаюсь что кекс по этому рецепту получится замечательным, просто и сода и пекарский порошок обладают одними и теми же свойствами, делают тесто пышным, именно поэтому я поинтересовалась зачем двойная порция? Елена, скажите, а какой объем стакана Вы используйте? 200 или 250 мл. ?